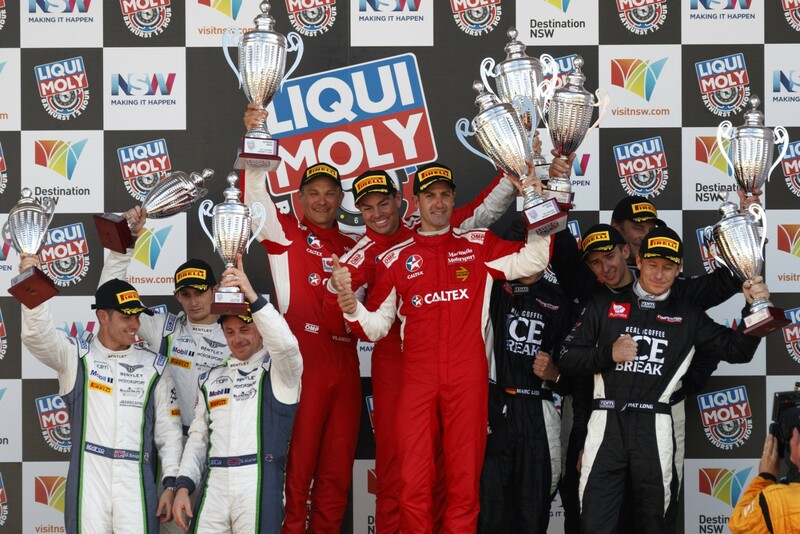 One of the most broadly-accomplished collections of racing talent from around the world ever to be assembled at Mount Panorama will contest the Liqui-Moly Bathurst 12 Hour next week. A cross section of champion drivers from Australia and New Zealand will be joined by world champions, ex-Formula 1 drivers, GT title winners and rising stars in a fiercely-competitive field. With local interest to be centred on 11 full-time Virgin Australia Supercars Championship stars, more than 175 drivers from 17 different nations in 53 cars will contest the February 4 race. 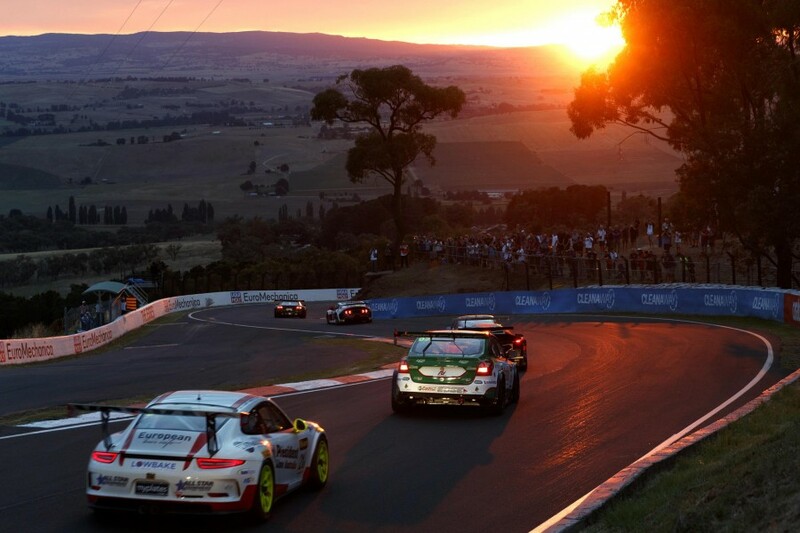 The Bathurst enduro doubles as the opening round of the Intercontinental GT Challenge, a four-round series that also includes the Spa 24 Hour, Suzuka 10 Hour and California 8 Hour enduros. The Supercars contingent is led by seven-time champion Jamie Whincup in a factory-supported Mercedes, with Bathurst 1000 winner David Reynolds and Sandown 500 victor Cameron Waters both also in AMG GT3s. Whincup’s Triple Eight team-mates Craig Lowndes and Shane van Gisbergen will share a McLaren, with 2017 Supercars title runner-up Scott McLaughlin to race under the same banner and Tim Slade in another 650S. Chaz Mostert will be part of BMW’s attack, while Garth Tander, Will Davison and Lee Holdsworth are all preparing for Audi drives. PIRTEK Enduro Cup regulars include Luke Youlden and Steve Owen in Lamborghinis, the pair having won the October Bathurst race with Reynolds and three-race series with Mostert respectively. Including defending winners Whincup and Lowndes and 2016 victor van Gisbergen, there are nine drivers who have conquered the 12 Hour on the grid. Drivers from all levels of Australian motorsport are represented, from Bathurst winners John Bowe, Steven Richards and Tony Longhurst to rising stars Matt Campbell, Will Brown, Matt Brabham and Aaron Seton. The current World Endurance Champion, and van Gisbergen’s 2018 Supercars co-driver, Earl Bamber will lead the international brigade. Bamber won the WEC title and his second Le Mans 24 Hours last year, and is accompanied by drivers who have made a combined 220 F1 starts, IndyCar and DTM experience and GT guns. The latter group includes the 2017 winners of the Spa 24 Hour - Jules Gounon, Christopher Haase and Markus Winkelhock - and three of the four who won the Nurburgring 24 Hour, with Winkelhock joined by Christopher Mies and Kelvin van der Linde on that occasion. A total of 12 manufacturers will be represented on the grid, a host of them looking to win the Intercontinental GT Challenge claimed by Audi in 2017. Factory-supported or assisted teams from Bentley, Audi, BMW, Mercedes, McLaren, Porsche, KTM, Ginetta and Lamborghini will compete for outright or class victory at Bathurst, as will the Australian-designed and built MARC Cars Australia entries. International squads include the winner of the 2017 World Rally Championship’s manufacturers’ and drivers’ titles M-Sport, Audi Sport Team WRT and the iconic BMW Schnitzer outfit. A host of privateer runners in each class will uphold the Bathurst tradition of smaller teams punching above their weight to achieve a result. The Liqui-Moly Bathurst 12 Hour commences at 5:45am on Sunday February 4, with the entire race to be broadcast live on the Seven Network. Saturday afternoon’s Pirelli Top 10 Shootout will also be shown live on 7mate. Tickets are available at the gate and represent great value at just $46, including access to the pit and paddock area, while a limited number of grandstand seats also remain on sale.